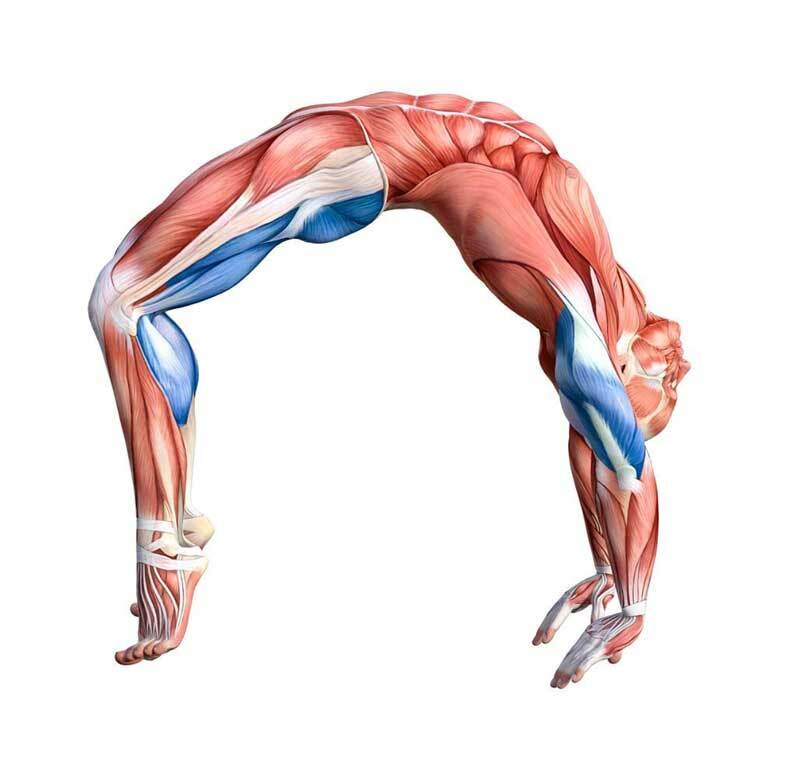 You know those yoga anatomy images you see where the muscles are shown in two different colors - one color is supposed to be “contracting” and the other color is “stretching”? These pictures would have you believe that “contracting” & “stretching” are opposites - and that shortened muscles are contracting & lengthened muscles are relaxing. I feel like I see these types of images in yoga books & on blogs all over, but did you know that our body doesn’t work like these pictures claim? Muscles can actually contract through their entire range - when they’re short, mid-range, and long. Just because a muscle is in a lengthened state doesn’t mean it’s not working! As our body moves into various yoga asanas, some muscles shorten while others lengthen - but ALL of the muscles on all sides of the moving joints are working, regardless of what length they’re at. Instead of worrying too much about which muscles are “on” or “off” in our poses (or “contracting” and “stretching” as the yoga anatomy images label it), it’s more accurate to think of them all as “on”, because that’s how we move - through co-contractions. I highlighted the psoas in this quote graphic because we’ve probably all heard the claim that many people’s psoai (that’s technically the plural of psoas heheh) are “dysfunctional”, “imbalanced”, “tight”, or some other similarly kind of scary word. But the psoas isn’t the only muscle we’re often taught to pathologize: the upper traps, piriformis, QL, and glutes (just to name a few) are all special muscles that we commonly hear labelled as problematic or having “issues”. But the thing is that *none* of these muscles are more special or prone to issues than any of our other 600 muscles. All of which is to say that the less we pathologize our innocent, well-meaning psoas & other special muscles, and the more we learn about pain science, the more evidence-based we’ll be in our approach to the body & movement. Yay for the specialness of *all* of our 600 muscles! Here's a TRIPPY ANATOMY GEEK MOMENT for you: blood flows in our body through *blood vessels* (arteries, veins, capillaries, etc. ), and these blood vessels form a complex network that fills our body from head to toe. The tissues of our body are nourished as the blood flows through these vessels (specifically the capillaries). Now here's the TRIPPY PART (if that wasn't already trippy because how is our body so complex and amazing, right?) But anyway, the TRIPPY PART is that our *largest* blood vessels are so large that they need their *own* individual blood vessel system just to support them. So within the outer walls of our largest blood vessels, there lie tiny arteries, veins, and capillaries - an actual mini-blood vessel network within a larger blood vessel itself. These tiny blood vessels-within-blood vessels are called "vasa vasorum", which means - get this - "vessels of the vessels". I hope you enjoyed your trippy anatomy geek fact of the day! This is a consolidation of a 4-part series of posts that I recently ran on my social media channels (Instagram & Facebook). Social media is a great tool for sharing information because so many of us tune into these outlets regularly, but it's also a somewhat temporary medium because new posts continually arise and replace old posts, etc. So here I've decided to consolidate my 4-part series into a blog post, where it can live more permanently and be accessed easily in the future. (And please excuse the somewhat chatty "social media voice" I wrote this in, because I originally wrote it for that platform. :) ) I hope you enjoy! In this series of posts we’ll be deconstructing down dog shoulder alignment with *critically-thinking minds* to learn more about the body and why we say what we say in yoga! Before we can deconstruct down dog shoulder alignment, we need to first establish what the classic shoulder alignment instructions ARE, so we know what we’re going to be deconstructing, right? In my long-time experience in the yoga world, the most common alignment for the shoulders in down dog that I see taught is: shoulders *externally rotated* ("outer spiral") and shoulder blades *protracted* (broadened apart from each other). Is this what you've experienced too, or are you used to a different shoulder alignment in DD? If you have time while you're commenting, can you also share WHY this alignment is believed to be important - what purpose does it serve? Once we have our basic DD shoulder alignment established, we can start to look at it more closely and question it. (Because that's what we do as evidence-based yogis, right??) Tune into my next post in this series to continue this inquisitive discussion! In part 1, we established that, with a few exceptions, DD is generally taught with the shoulders *externally rotated* ("outer spiral") and the shoulder blades *protracted* (broadened apart). Now the next thing to establish is WHY. Why this particular alignment? What purpose does it serve? The general reason given for this alignment is because it helps us to keep the tissues of our shoulders safer. Specifically, this shoulder position is believed to help us avoid a condition called *shoulder impingement*. (Getting a lil anatomy geeky here - but this is good stuff to know!) In shoulder impingement, the rotator cuff tendons and/or other soft tissues of the shoulder are "pinched" between the head of the arm bone and the bony shelf right above (called the acromion process just FYI) as the arm moves overhead. When we ER & protract as the arm lifts, we create more space in the shoulder joint - more room between the bones - to help avoid this pinching. Therefore this alignment helps protect us from impingement. ...OR SO THEY SAY!! Heheheh tune into Part 3 of this series to read more and to learn about why there might be reason to doubt this commonly-cited justification for this classic DD shoulder alignment. In Parts 1 & 2 we established that we're commonly taught to externally rotate & protract our shoulders in DD because this is supposed to help us avoid a condition called *shoulder impingement*. The truth is that we ALL have impingement because no matter who you are, whenever you take your arm overhead, the tissues in your shoulder will always pinch at some point. It just happens and is actually normal - not pathological! Here's a quote from one research article: "a synthesis of the current research findings suggests that no definitive relationship exists between scapular orientation and SIS (shoulder impingement syndrome)." Translation: the alignment of the shoulders is not (not! despite what we're taught!) related to impingement symptoms. So if impingement isn't as much of a problem as we've been taught, then do we need to always be externally rotating our shoulders in DD to minimize it? DO WE? Wellll I will leave you with that big thought to ponder for a bit... Stay tuned for Part 4, our final installment in this fresh perspective series! In Parts 1-3, we learned that external rotation & protraction is generally taught in DD because it is believed to be safer, but then we used scientific research to question the idea that this one position is superior and the best. While ER is just fine to do (absolutely! ), we should ideally be able to position our shoulders in DD in ALL WAYS, as long as we have control there! The traditional alignment of ER + protraction is a good way, but it is *only one way*. The body benefits from variety and options, and the more ways we can create a shape, the better. Is it OK to do DD with shoulder blades down? Yes! Elevated? Yes! Retracted? Yes! With shoulders internally rotated? Yes! As long as you have *control* over these ranges, and as long as you have no pain while you're there, it is fine to practice DD in this wide variety of ways. But position your shoulders intentionally and with control - no dumping or flopping. Know what I mean? A great guide for ourselves in DD is: what is our goal in doing the pose in the moment? Then we can base our alignment decisions on that. And if you don't know what your goal is (heheh sometimes we just don't! ), then just do what your teacher says - but don't buy into fearmongering messages about it needing to be done that way and only that way to avoid injury. Enjoy exploring alignment in down dog - your shoulders will thank you! You know how we tend to assume that the body should look and feel the same on both sides - an ideal of symmetry? And that tadasana (mountain pose) is our neutral, symmetrical, optimal shape? 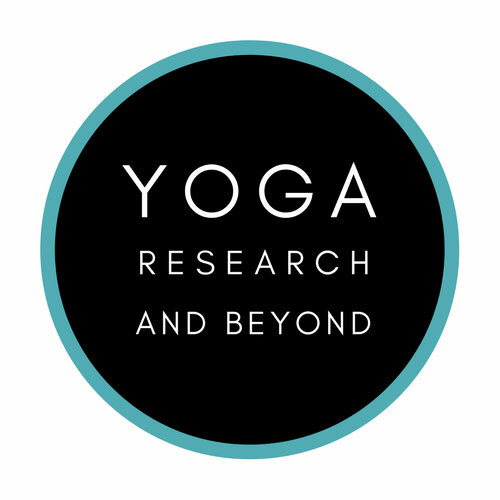 Well, my newest article for Yoga International, The Myth of Symmetry in Yoga, uses science to challenge these long-held assumptions that most of the yoga world holds dear. "It's articles like this that help to keep asana teaching science-based and elevate our profession as yoga teachers." --From the comment section of the article! Check it out here to update your perspective on the body, alignment, & yoga! You know "stability"? As in "core stability", "spinal stability", "shoulder stability", etc? Yes, stability is important, but sometimes we treat stability as though it means we should hold parts of our body rigid and never let them move. But the technical definition of stability is how well a system can return to an orientation after a perturbation - or in other words, how much *control over movement* there is. We have stability in our body when we're able to control the ranges of motion that our joints have. That way our body can *move* (not hold rigid all the time), but if there's an element of control there, then there is stability. Sometimes people are told by doctors, physical therapists, or other health care practitioners that they have "instability" or are "unstable" and therefore shouldn't practice yoga. But if a yoga teacher makes stability a priority (the accurate definition of stability, that is - not the inaccurate one that tends to lead to rigidity and movement avoidance! ), then that teacher's yoga class could be a great place for that person! If you don't have yoga teachers who focus on stability in your area, consider trying out my online class library, which features classes from myself and other special guest teachers who all make stability a priority in our yoga teaching. Your body might liiiike!